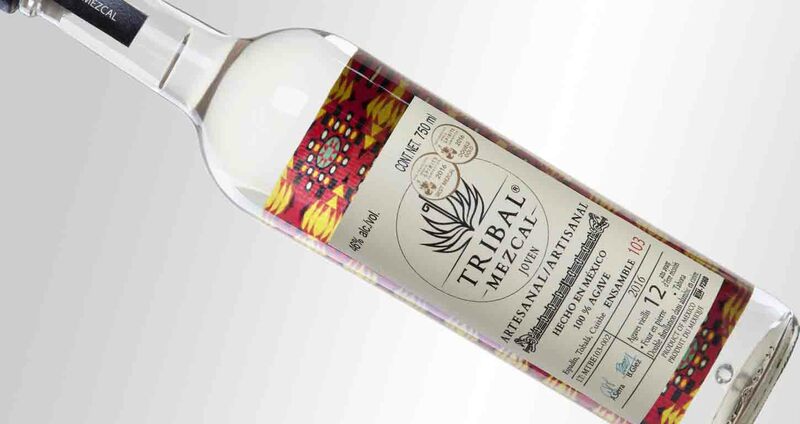 This premium 100% agave mezcal, which has a combination of varieties processed by the artisan form that marks the tradition of mezcalero master for several generations, result in the unique flavors that you will find in this premium distillate. Awarded the best mezcal by the San Francisco World Spirits Competition Judges Group 2016. The extraordinary flavor originated by the balance that highlights the characteristic notes of the flavors of the different agaves. It is like a diamond ring where the setting of the saddle with the diamonds and the solitaire make it highlight the beauty of each element in a single object. Aromas: Grapefruit, Orange peel, Pineapple, Thyme, Jicama, Clay. Flavors: Minerals, Light smoked, Grapefruit. 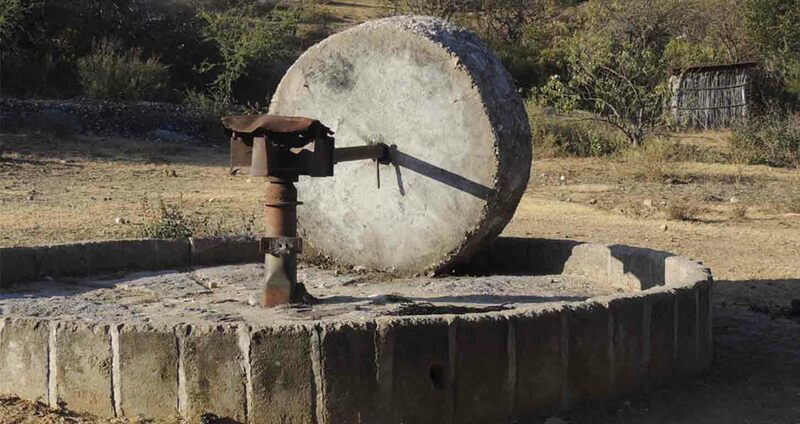 The first process for tribal mezcal is carried in the fields 8 to 10 years ago where the agaves themselves are planted which, passing through the traditional process as they did hundreds of years ago, result in the young tribal mezcal. 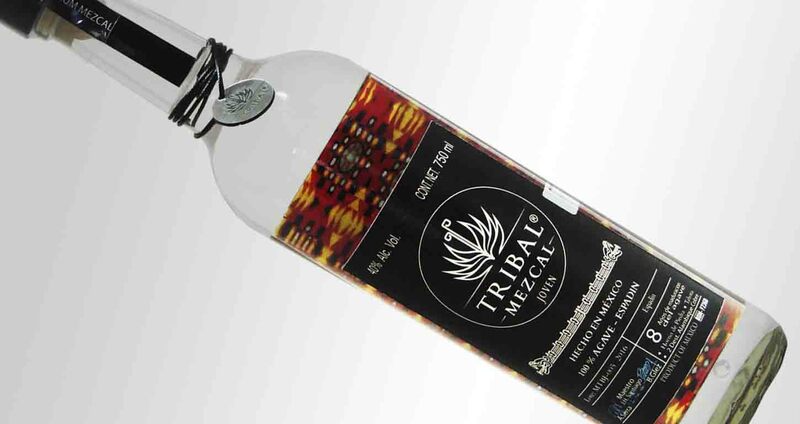 Soft mezcal with smoky and fruity flavors perfect to marry, or enjoy alone. Aroma: Leather, ripe fruit, clay, pear notes. Flavors: Smoked meat, cardamom, banana, citrus fruits, nutmeg, alfalfa. 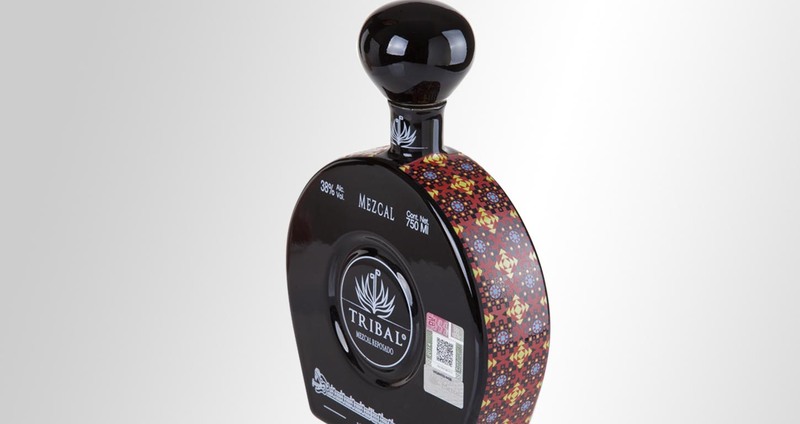 Inspired by the black mud comes this bottle made by hand baked and decorated with bright colors like alebrijes. Our Mezcal Reposado is a sample of the Mexican craftsmanship and the elaboration of a fine mezcal reposado in barrels of white oak to refine its flavors. Aromas: Vanilla, Herbal notes, walnut. Flavors: Vanilla, Cinnamon, Cardamom, Citrus. 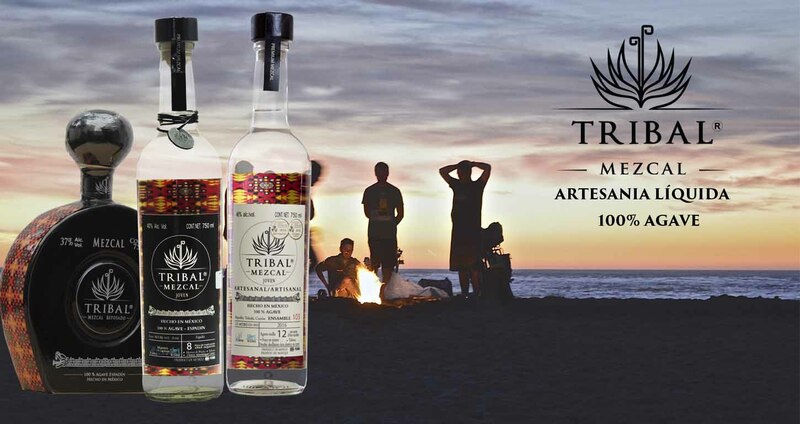 The sharing of passion for the flavors motivated Chef Andrea Serra and Engineer Bernardo González to found this family company mezcal tribal, the first with extensive experience in pairing and flavor appreciation and the second with years of experience in the spirits industry. The next step was to find the master mescaleros with whom it would create this synergy that results in the flavors of our products. 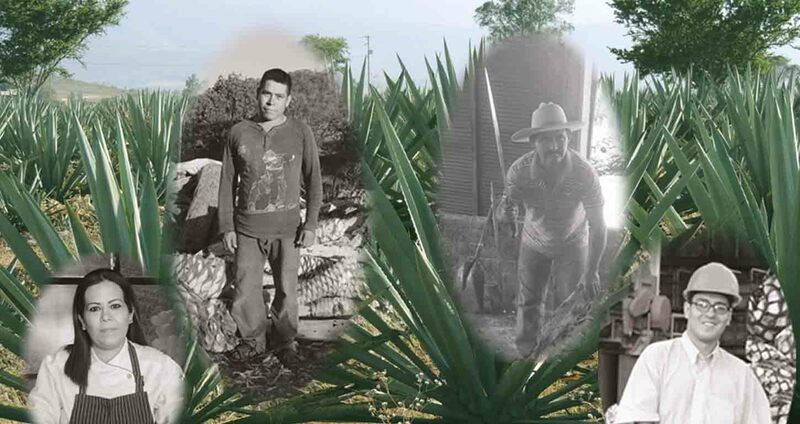 In this search they found the artisan hands of José Diaz and Cipriano Hernandez both with family tradition in the elaboration of the mezcal wine. Together they work to share their liquid crafts and surprise you with the tastes of Mezcal Tribal. The mezcal process begins in the field where the mescalero master is responsible for taking care of the growth of the agave fields, it is possible to mention that unlike other raw materials where the fruits are collected year by year, in the case of the agave is used Which we call the heart of the plant so that each plant can only be used once, in addition this must grow enough to give a good mezcal. Depending on the variety of the plant this maturation time goes from 6 years and can reach more than 15 years. It is here where they begin to catch the flavors of time and the environment. When finished by means of machete and coa the leaves are cut leaving the heart of the agave ready to be taken to the stone ovens. The agave hearts also known as pineapples are then heated in a stone kiln to obtain the sugars from the fermentation. This furnace is a hole in the earth covered by volcanic rock: the first step is to heat the rock with firewood evenly. Already recognizing the point of the rocks by the mescalero master as they have done since ancestral times proceed to pile the pineapples cut on the rocks, not before protected by a layer of bagasse to prevent them from burning. 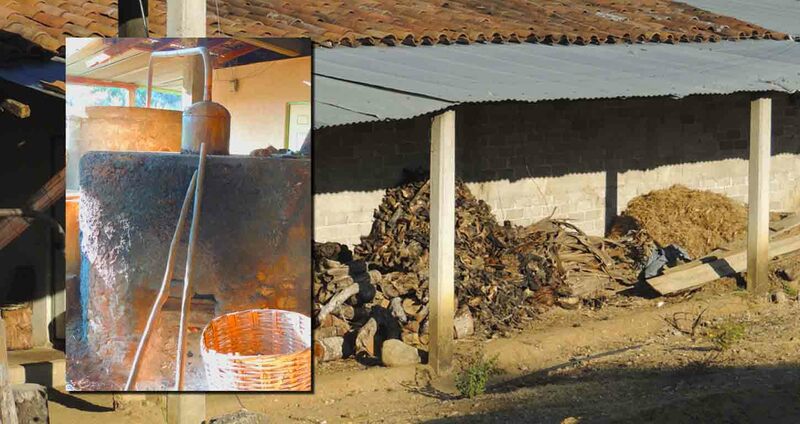 They are filled by filling all the space of the oven, finishing with sacks topped with earth, wood and stones to keep the heat inside and to obtain the best cooking which usually lasts several days until the approval of the master finishes it, is here Where the smoky notes appear in our mezcal. 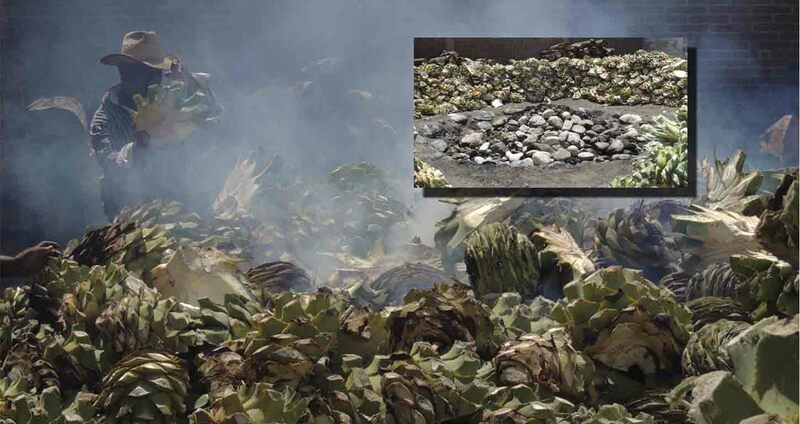 It is proceeded to the grinding where with the help of a machete to leave the pineapples in smaller pieces is proceeded to crush the agave with a circular stone called tahona, this to obtain that the fiber is undone and work the fermentation better. 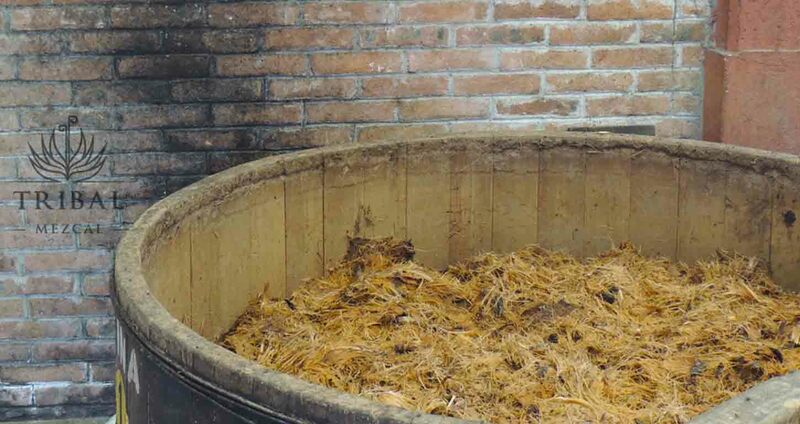 The fiber is fed to the fermentation vat made of wood. Already filled the tub is expected to start the fermentation to add water and wait for nature to do its function by fermenting the sugars in alcohol. 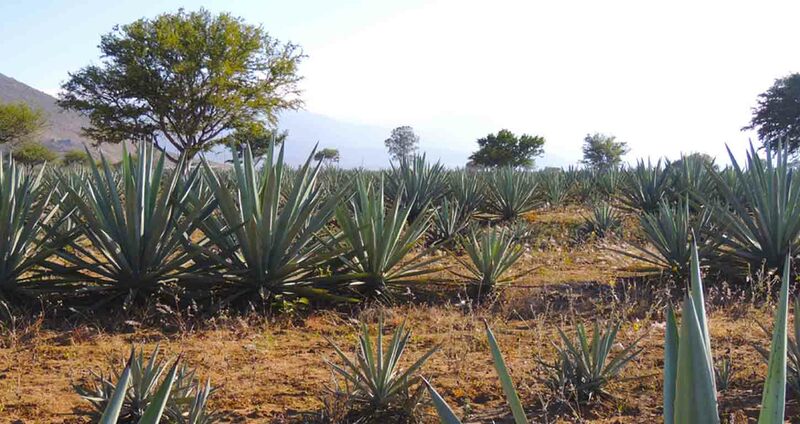 In the same way as the kiln process, the mezcalero master decides when the process was completed. This is where they originate a diversity of aromas and flavors which are separated in the following process, the distillation. The last step is distillation, where in a copper pot still the juice is poured in with the already fermented bagasse which heats the mixture causing the evaporation of the alcohol (mezcal) and condensing it by a copper coil submerged in cold water. After obtaining the product of the first distillation this is again put into another still for a second distillation in this case only of the liquid obtained, in which the impurities are separated in order to achieve a quality product. Enter Our Blog, You can find Cocktails, Pairing, articles, Events and More..